An emergency generator is a backup power supply which is designed to kick in when the regular power supply fails. A power outage can be caused by severe winds, ice or snow on the power lines, damage to the transformer or some other component, downed power lines, excessive strain on the grid, or some other reason. 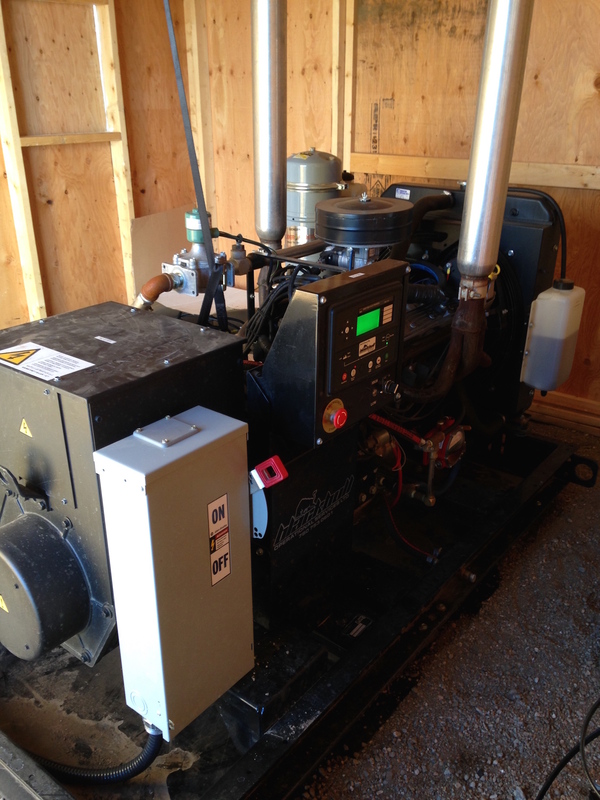 The generator can be up and running within two minutes, and provide uninterrupted electrical power. Independent emergency generators are used in a wide variety of situations, especially when a loss of power could be a serious threat to life, as in hospitals. Many data centers, science labs, factories, naval ships, telecommunication centers and residential buildings also use emergency generators to prevent losses in case of a power failure. 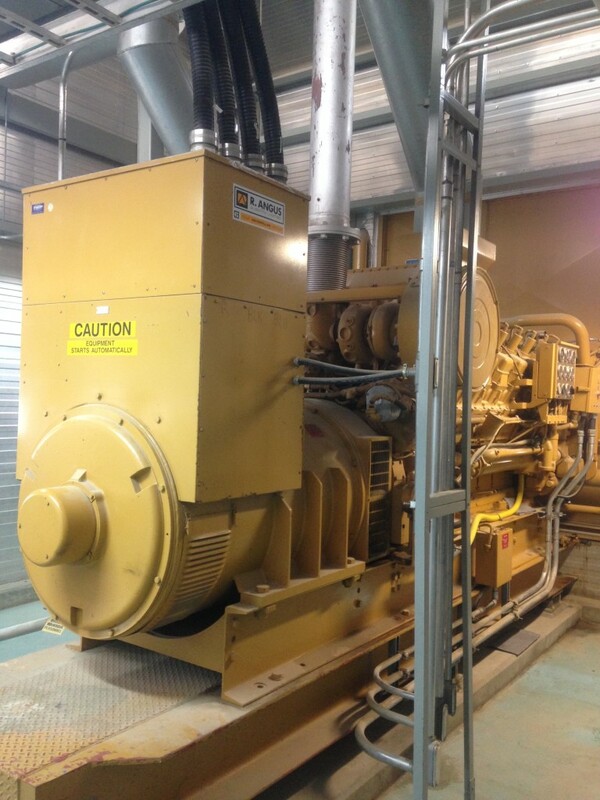 Most of these generators are driven by a diesel engine, however many smaller buildings use a gasoline engine generator and large facilities may use a gas turbine. In recent times, more and more back up systems are being built with green technologies such as deep cycle batteries, fuel cells or flywheel energy storage systems. These systems don’t produce any harmful gases, so they can be placed inside the building and don’t need an extra shed to store fuel. A regular emergency generator has an automatic transfer switch which is connected to emergency power. On one side it is connected to the standard power feed and the emergency back up. On the other side it is connected to the designated emergency load. When the flow of electrical current stops coming into the standard side, the transfer switch kicks in the emergency feed. Many factories also use emergency generators to prevent production or assembly lines from shutting down. Shutting down these lines can cost companies hundreds of thousands of dollars for every minute the line is down. Large scale industrial generators are used in commercial buildings like manufacturing plants, corporate offices, nursing homes, hospitals, mining operations, data centers and similar facilities that can’t afford risking an interruption in operations. These are usually stationary units capable of producing 50 kW to 2000 kW of power. Smaller installations, like the ones in residential settings, usually have single-phase generators (120 Volts), while industrial generators are generally three-phase, up to 480 Volts because the large equipment used in these facilities may require different voltage levels. Just like most home appliances use 120 Volt, while the range and electric dryer usually use 240 Volt. Industrial emergency generators are wired directly into the main power supply of the building with an automatic transfer switch. This insures the generator turns on whenever the main power shuts off. The transfer of power in some of the newer systems takes just a fraction of a second, so the loss of power is barely noticeable. Homeowners can install a portable generator, which can power a few vital appliances such as deep freezers and refrigerators. These are usually manually operated. The homeowner turns on the unit when a back up supply of power is needed. Alternately, a complete residential standby system can be installed which powers the entire household. Theses systems use the same type of automatic transfer switch as industrial units. The system can usually restore power to the entire home within about 20 seconds. Portable generators come in a huge variety of sizes. They are very useful when camping or working in remote areas. They can also be used to power a few vital appliance in the home when a complete back up system is not in place. Construction sites are the most common use for portable generators because they don’t have access to electrical power. The most common and economical way to get power from a portable generator to the appliance is by using extension cords. This can be very cumbersome in the home, but on a construction site, this may be the only option. However, in a residential setting using a power transfer switch is much safer. Also, always make sure the portable generator is isolated from the main utility lines to eliminate the risk of “back feed.” Back feed occurs when the electrical flow of power from the generator goes back into the utility lines. 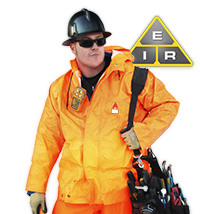 This can be fatal to any electricians who may be working on the utility lines at the time.